The sustained attention of United Nations has provided opportunities for human rights improvement in Iran, but the situation in the country remains dire. 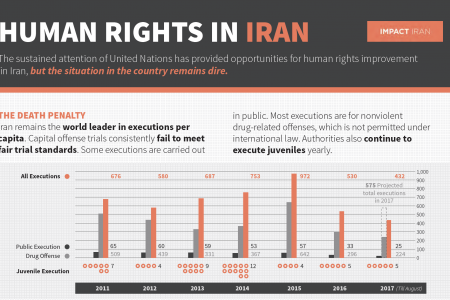 Iran remains the world leader in executions per capita. Capital offense trials consistently fail to meet fair trial standards. Some executions are carried out in public. Most executions are for nonviolent drug-related offenses, which is not permitted under international law. Authorities also continue to execute juveniles yearly.